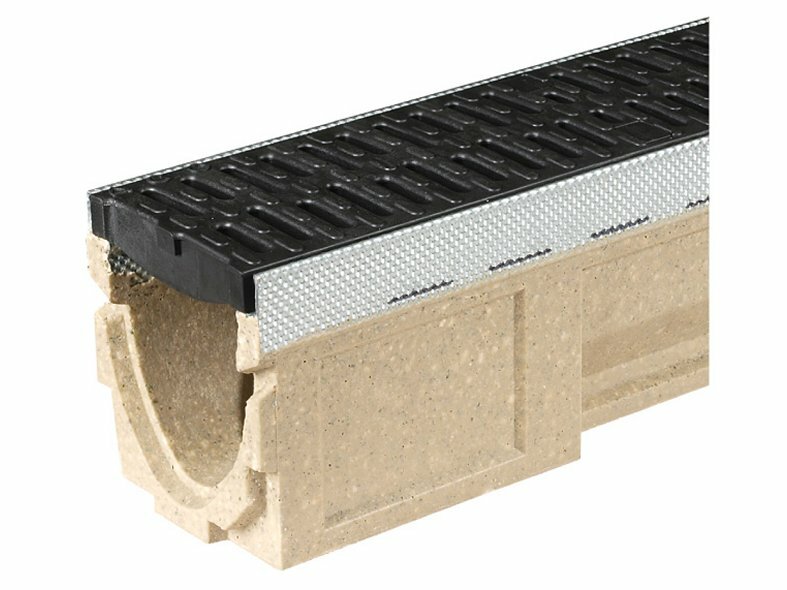 ACO CivicDrain channel is a lightweight drainage system manufactured from ACO’s high strength Vienite polymer concrete. 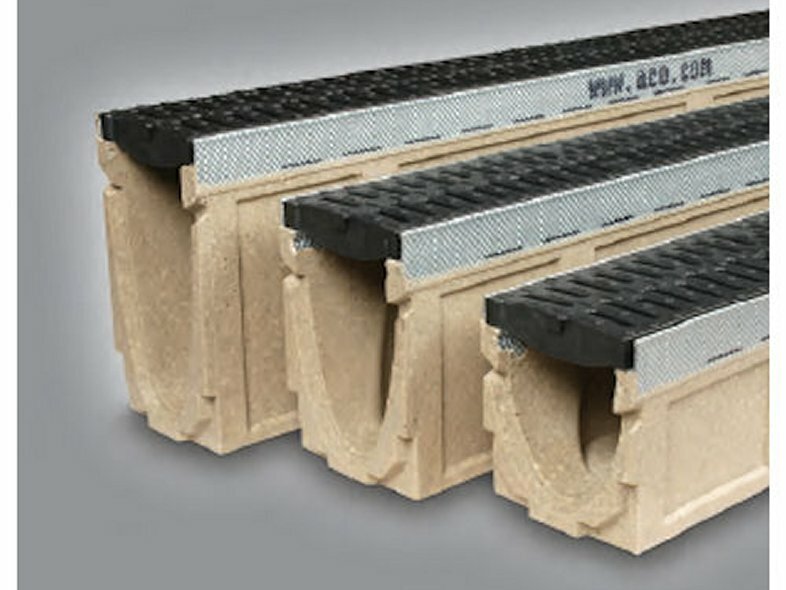 The 1m CivicDrain channel has a 100mm wide bore and is available in three channel depths to create a stepped system where required. CivicDrain is designed for light to medium duty traffic applications. The channel unit comes complete with 500 mm black composite Heelguard™ grating that is fitted with ACO Drainlock™ (ACO's advanced boltless locking method) and protective galvanised steel edge rails. Accessories include a sump and gully unit that will provide connection to underground drainage networks, a foul air trap and a universal endcap for closing or outlet connection to 110mm PVC-U pipes. 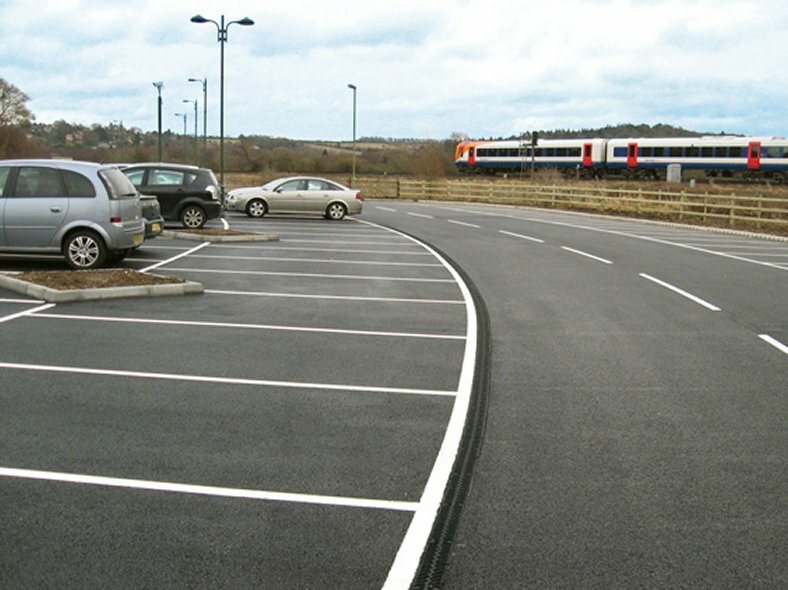 The drainage system is CE marked and fully certified to BS EN 1433:2002 from Load Class B 125 to C 250, and so makes the system ideal for pedestrian precincts, private car parks, light vehicles and slow moving commercial vehicle applications.